Not all tenant-owner relationships are perfect. The typical relationships are fraught with disagreements. In some cases, these disputes are due to poor communication between the two parties. But there are certain situations where the tenant knowingly violates the rules or refuses to pay the rent. Despite trying to talk them through it and arrive at a civil agreement, such disputes rarely end well. An eviction is sought – and things turn from sour to ugly in no time. Irrespective of how much you know the person, by nature, humans are vengeful. You can never rule out a retaliation break-in attempt made by the tenant you’ve just unceremoniously evicted from the property. 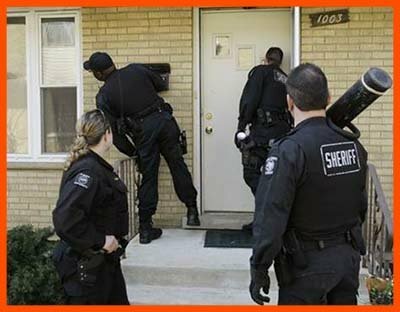 If you’re a property owner, and are seeking to protect yourself and your property from an ex-tenant, what you need is an emergency eviction service . Get in touch with us; our experts have handled countless evictions in Little Neck, NY area in a hassle-free manner. Little Neck Locksmith Service operates as a 24/7 locksmithing agency and is available round-the-clock to take care of your concerns. You can pre-book an appointment with us and we’ll arrive on site well ahead of time. In case, you require emergency eviction service , you can call us for that too. Give us a maximum of 15-20 minutes and we’ll be at your location, armed with everything necessary to change or rekey the locks on your property. If you’re not entirely sure that a rekey/change of locks will restrict the ex-tenant’s access entirely, you can even opt for a complete security revamp. There is a possibility that your former tenant might be aware of any security loopholes and might use this knowledge to his/her undue advantage. Our experts can assess your property and can come up with solutions to upgrade your security. Our complete emergency eviction service carries an affordable price tag. If you require an upfront price, you can also talk to our team on 718-971-9657 !